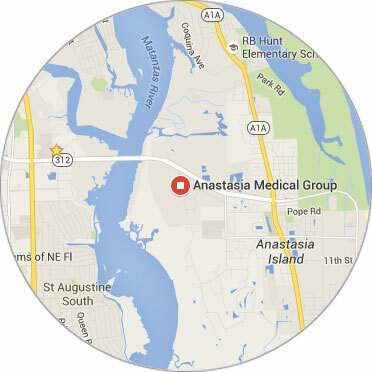 Dr. Ryan Pereira has been practicing in St. Augustine since 2002. He is a Diplomate of the American Board of Podiatric Surgery and is Double Board Certified in Foot Surgery and Reconstructive Rearfoot/Ankle Surgery. 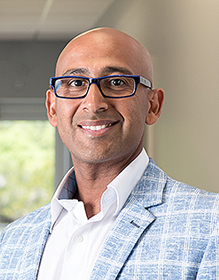 Dr. Pereira is a Fellow of the American College of Foot and Ankle Surgeons, a Fellow of the Association of Extremity Nerve Surgeons, a Fellow of the American Orthoplastic Microsurgical Society and on its Board of Directors. He is a Certified Inbone Total Ankle Replacement Specialist and a STAR Ankle Replacement Specialist. Dr. Pereira graduated from the Ohio College of Podiatric Medicine with his Doctorate in Podiatric Medicine. He completed his residency in Podiatric Surgery at St. Francis Hospital and Medical Center in Hartford, Connecticut. Dr Pereira underwent additional training in Microvascular Surgery at Columbia University Medical Center in New York. In 2005 Dr. Pereira completed advanced fellowship training as a lower limb reconstructive surgeon at the Russian Ilizarov Scientific Center in Kurgan Russia. He now specializes in the Ilizarov method for bone lengthening and deformity correction which was developed in 1951 by Dr. Ilizarov at the institute. Since then, he has taught and has lectured at several seminars within the United States and Internationally. Dr. Pereira has been treating venous disease, the most common of which are varicose veins, spider veins and venous ulcers. He utilizes the VNUS® Closure® procedure, the newest alternative to vein stripping which allows for an outpatient treatment in less than 45 minutes. In order to provide for total comprehensive vein care, vein stripping, ambulatory phlebectomy, and spider vein treatment are also performed in the office setting. Dr. Ryan Pereira’s practice is very niche oriented and focuses on the treatment of varicose veins, complex limb reconstruction, diabetic limb salvage, reconstructive foot & ankle surgery, and microsurgery.